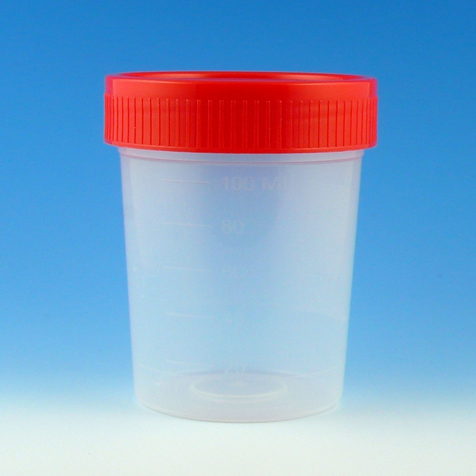 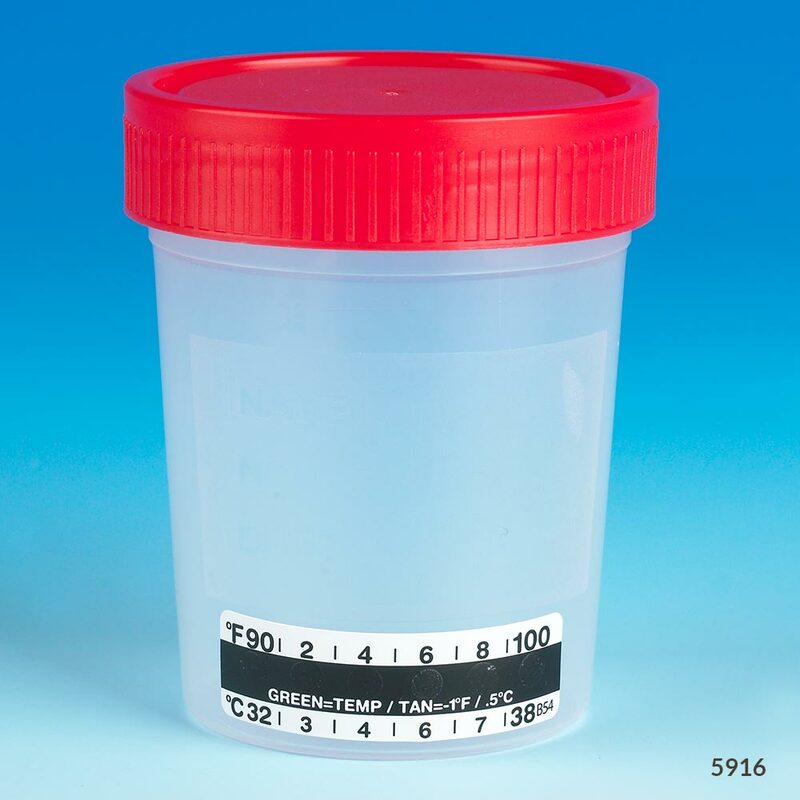 Our popular 4 oz urine collection container features a quarter turning screw cap which is designed to assist in the prevention of carpal tunnel syndrome. 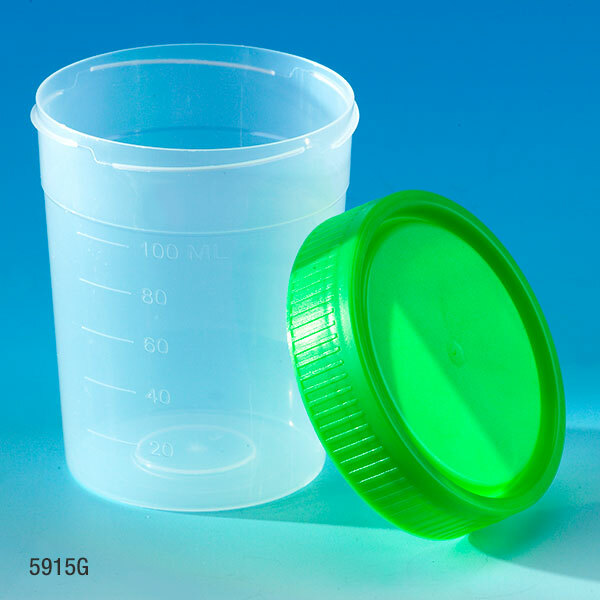 The lid opens and closes with one smooth movement, which minimizes the usage of the operator's hand and lower arm area, and reduces the stress placed on the wrist. 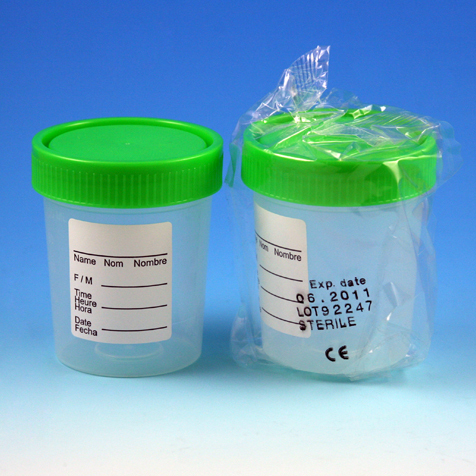 The containers are graduated to 100mL and feature a frosted writing area. 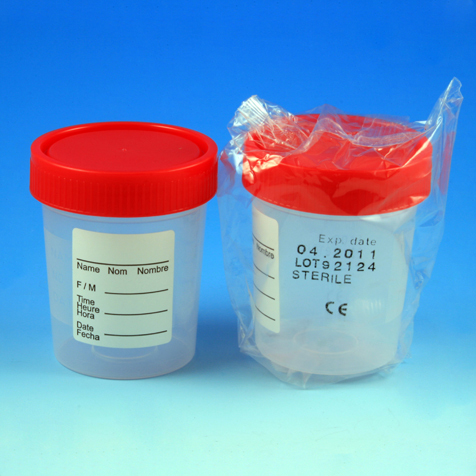 Sterile containers are individually wrapped and feature a trilingual patient ID label (English, Spanish & French).